Researchers in Introductory Composition at Purdue (ICaP) are kicking off a longitudinal study about the writing experience of incoming Purdue students. This study aims to uncover the kinds of writing that students completed in high school before entering the university. The study, “Assessing Pre-University Writing Experience in New Entering Students,” is designed to gather baseline data on students’ writing experience, so that researchers and instructors have a better understanding of the diverse types of composition experiences that Purdue students have and have not encountered. Studies increasingly demonstrate that strong written communication skills are highly valued by employers, so it is important to discover what kinds of skills students already have when entering the university, and which need further development. As a leader in writing studies research, Introductory Composition at Purdue is continually working to improve its approaches to teaching writing. The study is aimed at Purdue students, but it could potentially provide insight into student writing practices that would impact how writing is taught on a larger scale. The study will run for three years, with online surveys administered each fall from 2017 to 2020. New Beginners at Purdue will be emailed a link to the survey at the beginning of the fall semester. Participants are also able to enter to win one of ten $25 gift cards for participation. Learning communities are a fast track to academic success, bringing students together for shared curriculum and extracurricular activities. Studies show that they help students earn better grades, make friends faster, and graduate at higher rates. 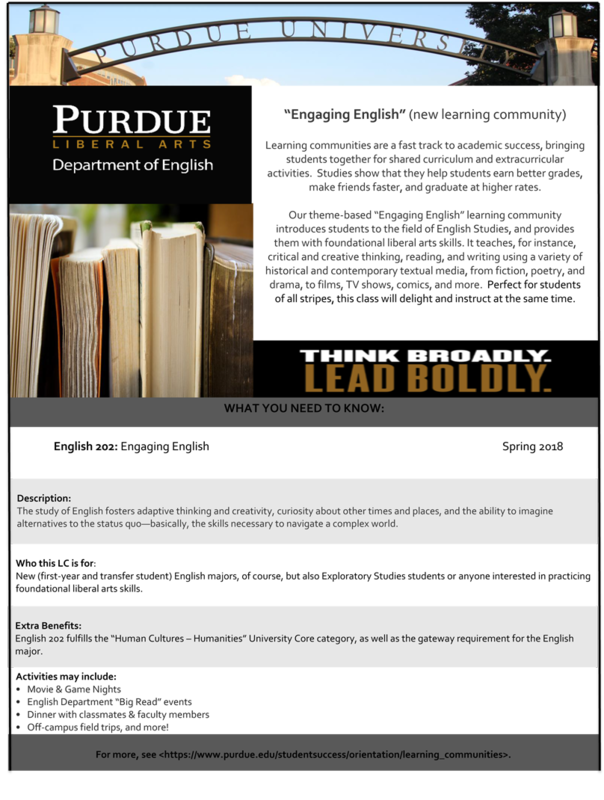 Our theme-based “Engaging English” learning community introduces students to the field of English Studies, and provides them with foundational liberal arts skills. It teaches, for instance, critical and creative thinking, reading, and writing using a variety of historical and contemporary textual media, from fiction, poetry, and drama, to films, TV shows, comics, and more. Perfect for students of all stripes, this class will delight and instruct at the same time. The study of English fosters adaptive thinking and creativity, curiosity about other times and places, and the ability to imagine alternatives to the status quo—basically, the skills necessary to navigate a complex world. New (first-year and transfer student) English majors, of course, but also Exploratory Studies students or anyone interested in practicing foundational liberal arts skills. English 202 fulfills the “Human Cultures – Humanities” University Core category, as well as the gateway requirement for the English major. Off-campus field trips, and more! 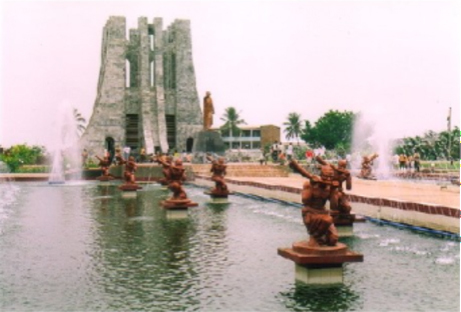 Discover the rich cultural and historic links between Ghana and the African diaspora. Experience culture and history through interactions with Ghanaian people. The focus for the course will be that most famous Renaissance citizen, Leonardo da Vinci. Da Vinci in Italy explores the transition from the medieval period to the Renaissance across multiple disciplines, thus laying out how much of what we take for granted today about technology or the human subject was implemented in this rich period, especially in Italy. Led by professors from the College of Liberal Arts and Engineering, the study-abroad program will take students to Venice, Milan and Florence, Italy for Spring Break 2018. Our interdisciplinary approach allows students to think abou the constructed nature of things we take for granted as "natural" (e.g., time, space, human subjectivity, meaning, sight, gender, knowledge and law), thus opeing our eyes to the significance of cultural differences. 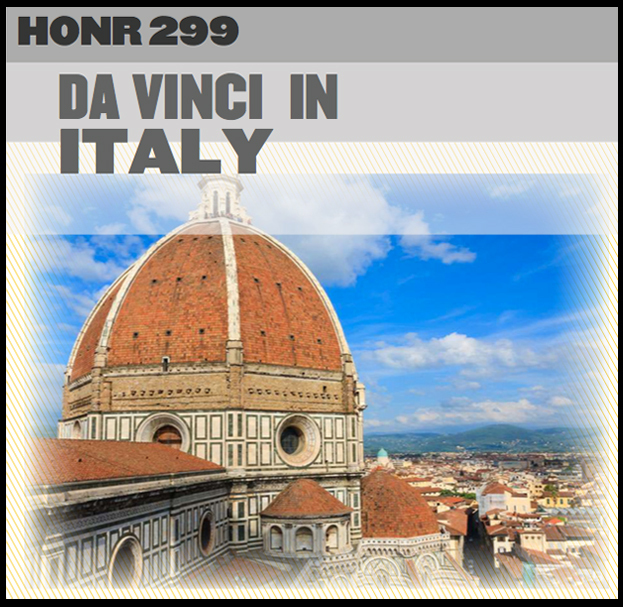 There will be an accompanying 3-credit, semester long HONR course on Leonardo da Vinci taught by Dr. Felluga during Spring 2018. Although students are not required to take both, the course and study-abroad program are designed to complement each other.